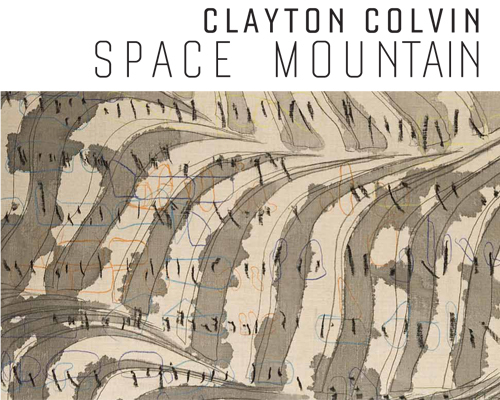 " Fragility and ephemerality are guiding principles in Clayton Colvin's art. Playing with pattern and perception to address these concepts, Colvin creates loose, geometric imagery that combines drawing, painting, and textiles. In fact, Colvin does not distinguish between drawing and painting and purposefully shifts from one to the other in abstract works that fluctuate from formal to expressive. With subtle and playful sense of humor, the artist puts humanity at the center of his work. He explains, "I am interested in feelings, flawed and visceral. I am fragile. I am amazed. I am thankful. It is dirty stuff. It is human. It plays sometimes at control and pixel perfection, and its failure reveals the exact element I want to express. Merging painted brushstrokes with drawn marks while adding and erasing layers, Colvin finds inspiration in how we consume images, often now mediated through cell phone cameras (...) he deconstructs everyday patterns and digitization found in technology to its base shapes and colors to focus on movement and energy in works that become transcendent. " Clayton Colvin (b. 1976) lives and works in Birmingham, AL. He received his BA in Art History from New York University in 1999 and his MFA in painting from the University of Alabama in 2005. Colvin’s work has been exhibited by galleries and museums across the US including the Birmingham Museum of Art (Birmingham, AL); the Mobile Museum of Art (Mobile, AL); and Artist Space (New York, NY). Recent solo exhibitions include Margaret Thatcher Projects (New York, NY); Launch F18 (New York, NY); the University of Montevallo (Montevallo, AL); the University of Memphis Art Museum (Memphis, TN); and the Montgomery Museum of Fine Arts (Montgomery, AL). Colvin’s work is included in the permanent collections of the High Museum of Art (Atlanta, GA), the Birmingham Museum of Art (Birmingham, AL), and the Mobile Museum of Art (Mobile, AL). Reviews of his work have appeared in Art in America, Artforum.com, San Francisco Arts Quarterly, and ArtPapers, amidst others.